The following are suggested videos on Chinese education and American education. Since they are all on YouTube, we cannot guarantee they will be available indefinitely. (Produced by Edskills OECD) 20 min. Good for adults to see. Substantive. A lot of talking heads with classroom examples. Primarily in Chinese with easily read subtitles. 13 min. High school English class. Good British teacher. 2:57 min. Good introduction to Chinese primary school. Takes viewer through the whole day, showing whole class and different lessons. Reinforces what Two Roads, One Journey is about. Typical large class; loud recitation. Also shows outside of school (typical) and kids. Sound quality is variable (amateur video), but the images of the classes and outdoors are good. 5:30 min. Keith Ballard is interviewer. American elementary kids demonstrating and teaching fairly well. Demo is better than many. About 2 min. or less. Good for instruction. Chinese demo with English print directions and then typical Chinese music. Almost 6 min. Good. Adults playing jianzi. 1.5 min. All in Chinese. Chapteh = Jianzi. Good demo by three people. 1 min. long. In Chinese with clear descriptions so English speaker can follow. 2.5 min. World Bank description of why Shanghai students outperformed the rest of the world in math. 2+ min. Good pictures. Typical demo lesson. It was probably practiced, but demonstrates for observing teachers how to use hands-on teaching and occasional group work in teaching rather than the old style of lecture. In Chinese with English subtitles. 36 min. Let’s Do Math in Chinese! 13 min. Two adults (one in Chinese, one bilingual) talking about and teaching vocabulary for addition, subtraction, multiplication, dividing. In Chinese and English. Good for those who really want to learn some Chinese math vocabulary. 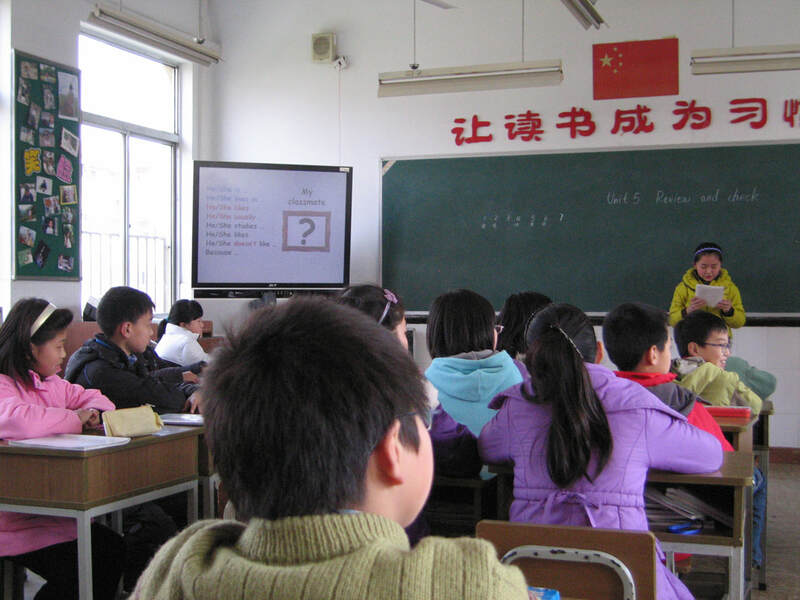 Anhui students in normal university go once a week to rural school. Interviews them about what they are doing/accomplishing and shows them in classrooms; natural feeling. Candid interview with principal. Good. A TV video by Channel NewsAsia. 3-1/2 min. All grades, all subjects. 2-min. trailer. Good overview of American schools. Honest. Main project was 1 day in 28 schools, all different subjects; all the separate pieces are available through this site; a documentary was made in 2012, which consolidated and cut some. Go to GoPublicProject.org—Bluefield Productions for documentary. About a teacher’s daily routine; 3rd grade at Franklin School in Pasadena, California. About 4 min. Great teaching and well videoed. Part of GoPublicProject. Overview of the day. GOOD. Math with money, 3rd grade. About 11 min. Typical lesson; camera is stationary; probably 20+ kids; a lot of teacher talk, though some hands on. Boring but okay! Teaching place value with Unifix cubes. 2 min. Certainly familiar to many in the US. Quick explanation of how to use Unifix cubes. First grade, readers workshop and guided reading. Modeling how to find the author’s purpose. About 30 min. Shows the entire lesson. Only 14 kids in class. Good contrast to Chinese learning; plenty of movement in disciplined way; canned video from another school for a few minutes in middle is not great. A number of different activities.